Have You Micro Chipped Your Pet Yet? 5 Reasons To Get It Done NOW! Imagine … You are walking through a dog park with your furry friend, whom you just unleashed. Now, a friend of yours waved at you whom you haven’t met since ages and that excite you. She/he comes towards you and starts chitchatting. Or imagine that instead of a friend, you come across a crying kid and you get engaged in asking the necessary questions. Chitchatting or handling the kid took your 100% attention for almost 10 minutes. While you were busy doing that, your excited dog slipped from your eyesight, enjoying with his mates in the park. You cannot find him anywhere and have no idea whether he is deep in the woods or have exited. How will you find your pooch in this case? Will you ever be able to find him? Well, this wouldn’t have been a case if your pet was micro chipped! If you are one of them who have not gotten his pet micro chipped, here are five reasons to get it done, NOW! It is a life-long safety plug! Microchips are permanently inserted into the pet’s skin which lasts for 25 years. Now, that’s longer than any collar tag around your pet’s neck. Your information and a unique ID number are stored in that microchip which helps in the identification of the owner easily. As soon as your pet is scanned in a clinic or animal shelter, they will return him to you. Isn’t it a security for lifetime? Sitting back because you think it may hurt your pet? Well, it does not! If your pet is okay with the vaccination shots given to him, then micro chipping may not hurt him. It feels similar to a shot given to the pet. Your veterinarian will simply use a needle to inject a grain-sized chip between your pet’s shoulder blades. Just like the vaccinations are necessary, this chip too has its unique importance, which, unlike vaccinations will safe guard your pet for his whole life. It’s not expensive as you think! When it comes to a technology, people blindly start believing that it will be costly. However, micro chipping is not expensive as you think. The price may vary from $10-40 per animal, which is cheaper than a monthly dose of flea and tick treatment. Moreover, many veterinary clinics, adoption centers, rescue shelters, pet stores, and animal welfare associations offer it at very low cost. This means that once you micro chip your furry friend, he is secured forever! Doubts resolved on whether it works… here are the stats! A survey was conducted by the American Veterinary Medical Association that proved that the percentage of dogs returned to their owners that were not micro chipped was 21.9%. Whereas, 52.2% pet owners get their lost dogs back because of micro chipping. Hence, the numbers purely indicate that the rise in reunion of lost pets have increased due to this process. This may surely convince you to micro chip your pet! If the above numbers are unable to convince you, the fact that how a pet parent feels when they get their lost pet back will definitely convince you. Here is a video attached that encourages micro chipping because the pet owner was reunited with the pet, just because of the chip. Enjoy! In all, there may be no harm in going through this process, but there is definitely some risk if you do not. If you have not micro chipped your furry friend yet, this is the time to do it. All the best! National Pet Memorial Day is celebrated on the second Sunday of every September. This day is dedicated to the remembrance of pets that departed to the other side of the world. All the pet owners who have experienced the grief of losing their fury friends observe memorial prayers and organize other events to pay respect to the dead ones. Although this day is evocative for pet owners, you may not want to neglect your existing pets. To create a perfect and a fair environment on this day, you may pray and pay respect to the memories of your lost pet, and do something for your current pet too. Balance your past and present to spend an ideal pet-centric day. Being a pet care company, BestVetCare would like to add some sunshine into this nostalgic day of pet owners. We give an open invitation to all pet owners to avail the best of products for your four legged friends at 15% discounts. National Pet Memorial Day sale is especially organized to cheer the pet parents who suffered a loss of their furry pal. BestVetCare has a broad range of pet care products for cats, dogs and birds. This sale provides an opportunity to buy the finest range of products for categories like Flea and tick control, joint care, dental hygiene, wound care, eye and ear products, and wormers. We sell the most opted brands at discounted rates. This sale will reduce the already discounted prices by 15%. Grabbing this chance to buy your favorite brands can have doubly benefit. The season is just about to take a new form and your stock for pet care products may have gone empty. With this enticing offer and the array of benefits, you can easily re-stock your supplies at supremely affordable rates. We have customer friendly policies that would help you to use our services easily. We also apply no charge for shipping irrespective of the size of your order. This means that you can buy a product as cheap as $3 with 15% discount and avail free shipping to your place. In all, this sale is a package of benefits that is already in your hands, you just need to open it. With the memories of your passed pets, make new one for your current ones on this National Pet Memorial Day, only with our sale! Use coupon code: BVVPET15 to apply discount. Labor Day Blow Out Sale On Bestvetcare- Enjoy 12% OFF On All Pet Supplies! Since the year 1882, the citizens of the United States of America are celebrating Labor Day on the first Monday of September. This day was observed to acknowledge the work of labors, who has contributed in building the economy of this country in any way possible. In earlier years, Labor Day was celebrated with rallies and marches across the town. However, things have changed now, and people choose to rest on this day or spend time with family on a trip. On this day of appreciation, BestVetCare, a well known pet supply store would like to contribute to the celebrations by extending our work. On the account of Labor Day, BestVetCare has announced a super sale of 12% on all the pet supplies. Summers are almost at the dusk and it’s time to restock your pet supplies. 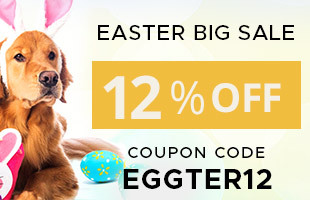 This may be a perfect opportunity to buy new supplies for your furry friends as we offer the best of pet care products at reasonable rates and added discount of 12%. BestVetCare is an ultimate pet supply store having a wide variety of products from the big brands. We provide the best of treatments for dogs, cats and felines. You can stop by our online store to avail the popular flea & tick treatments, heartwormers, dewormers, joint and wound care products, and dental health ailments. We also supply nutritional and vitamin supplements at affordable prices. At BVC, we always try to connect with our customers and reach maximum number of pet owners and this offer has the same purpose. To join the BestVetCare family, subscribe to our newsletter and receive daily discount details. Order any treatment for any breed and size of canine or feline and save huge with our sales! Why is Labor Day Sale “A must visit” sale? • BestVetCare is one of the most trusted sellers and our customers trust us with the prices and products. This may be your chance to know our service and experience the benefits. • We offer pet care treatments at discounted prices and the Labor Day discount will cut these low prices short. • With a doubly benefit, you may avail your favorite products at super saving rates. • We do not charge for shipping irrespective of the size of order. • Best brands are in stock which you may miss on buying it at cheaper rates if you miss this sale. In all, Labor Day Sale is on BestVetCare may be a perfect time to buy pet care products for your furry friends if you want to save big. Use coupon code: LABOR12D while checking out to get discount on your buy! Happy Labor Week!